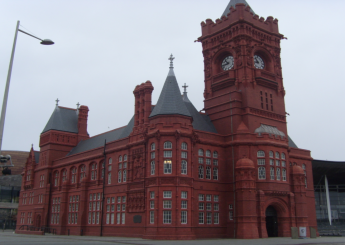 This week we’re looking back to our work at the iconic Pierhead Building in Cardiff. 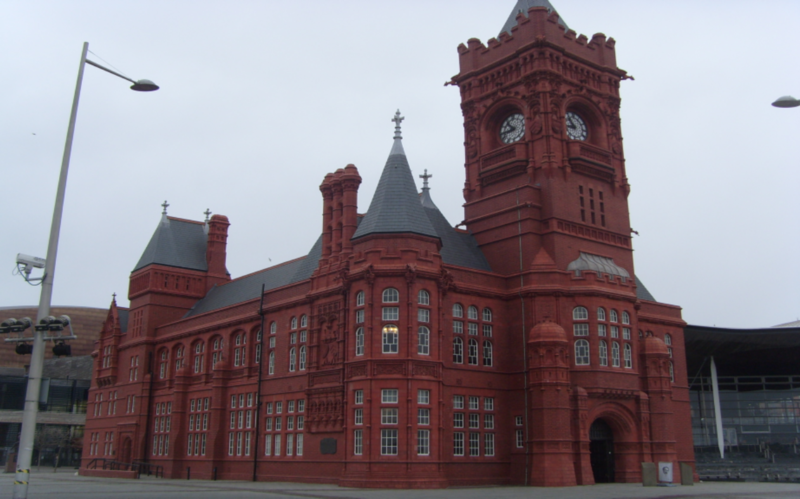 This Grade I listed building was originally built as the headquarters for the Bute Dock Company and is now home to the National Assembly for Wales. It was built in a Gothic Renaissance style and is highly detailed, with the exterior of the building finished in glazed terracotta. The ornate clock tower is known as the Big Ben of Wales. 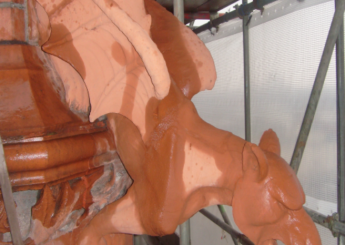 Quadriga were employed to restore the exterior of the building. 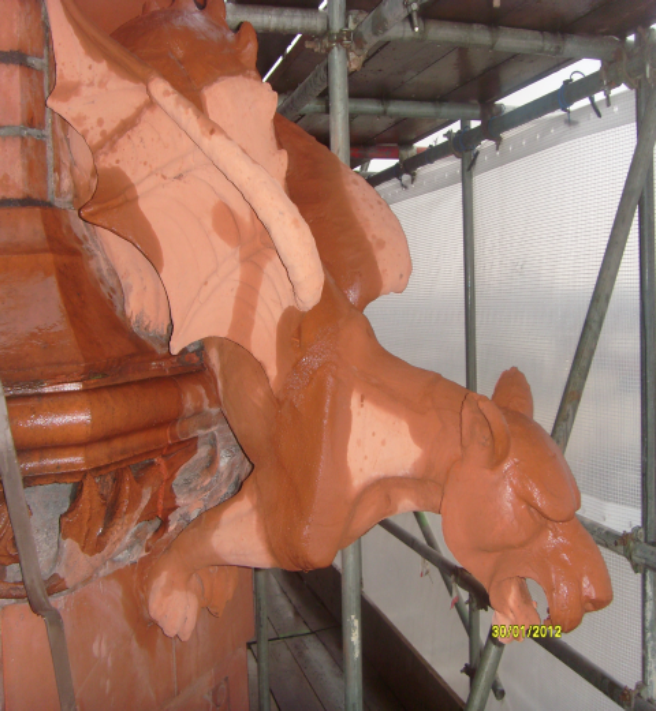 The terracotta was supported with ferrous dowels which had resulted in corrosion and cracking. This had gotten so bad that a gargoyle had fallen from the building and smashed, luckily noone was hurt. Our work started with a superheated steam clean of the entire facade, followed by repointing and repairing defective brickwork and terracotta. 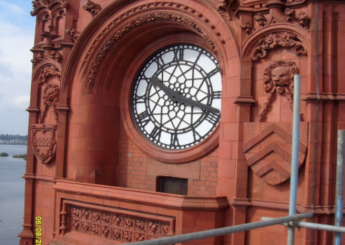 The clock face was refurbished and the poor broken gargoyle was painstakingly put back together and reattached to the building. Other work included window, roof and rainwater good repairs and replacement. 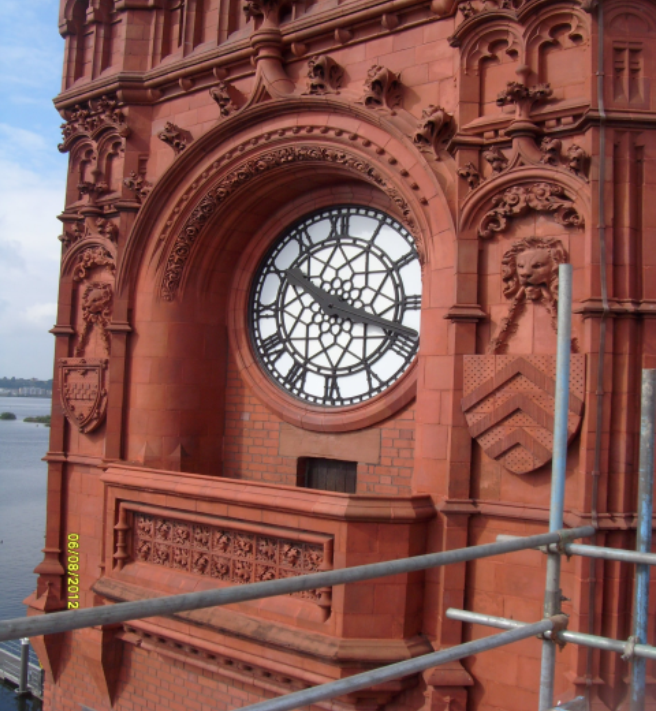 The Pierhead Building project highlights the problems that can be faced by terracotta buildings but also how stunning the finished outcome looks as they are restored back to their former glory.